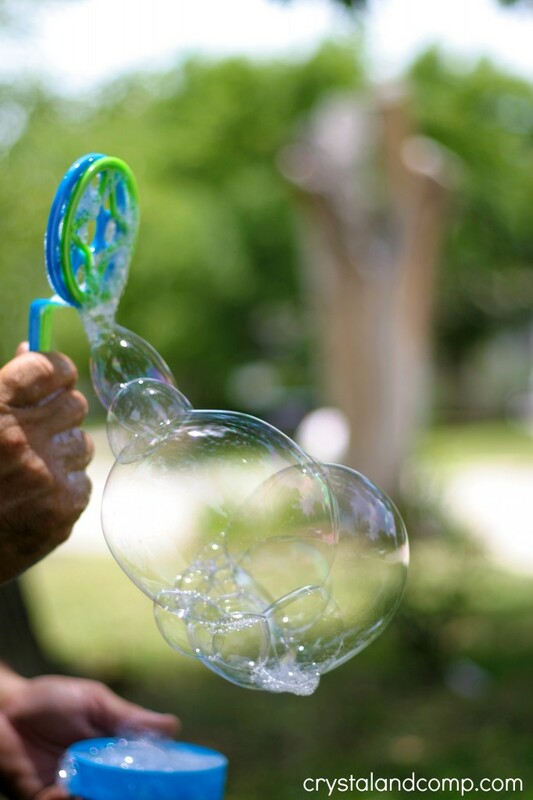 Alice, these bubbles smelled amazing! Gabi- I hate shooting in manual… I know, I should do it. But he was right. He generally is! This is such a fun looking recipe! 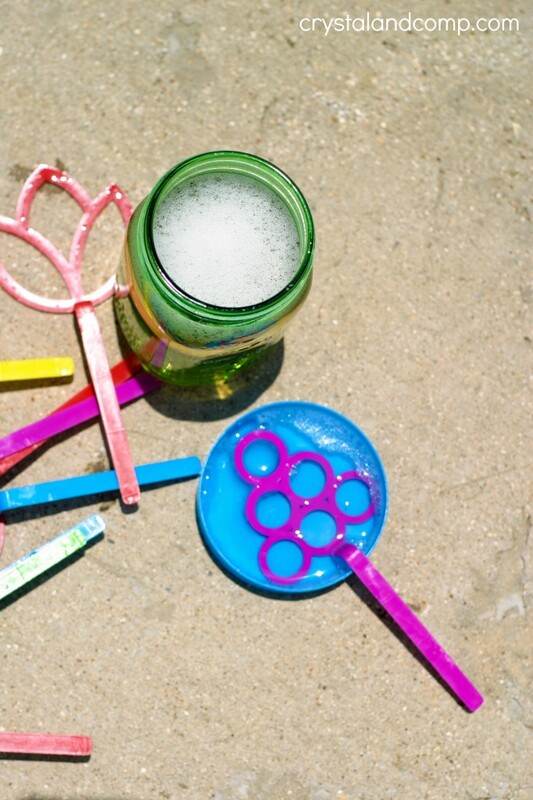 With summer here lots of bubbles are used around our house. I will have to give this one a try this weeks with the kids. You have great timing, because we have a family picnic coming up. 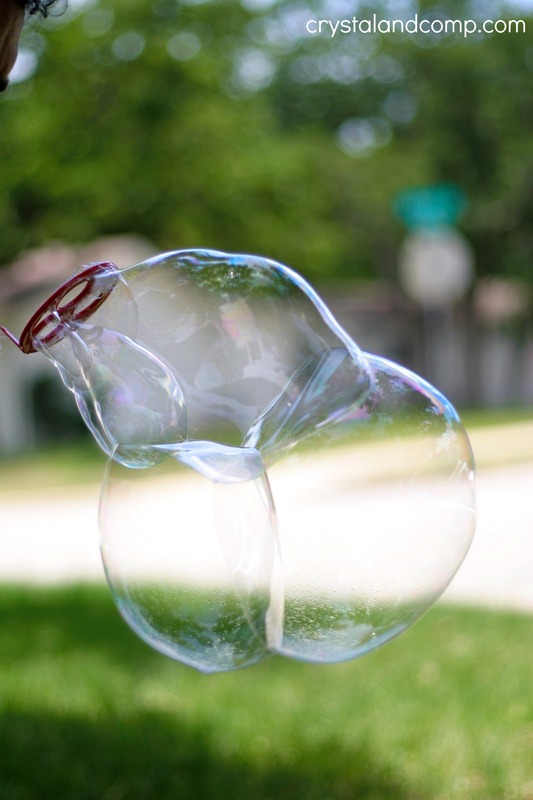 Bubbles are spilled and sad faces will not prevail. 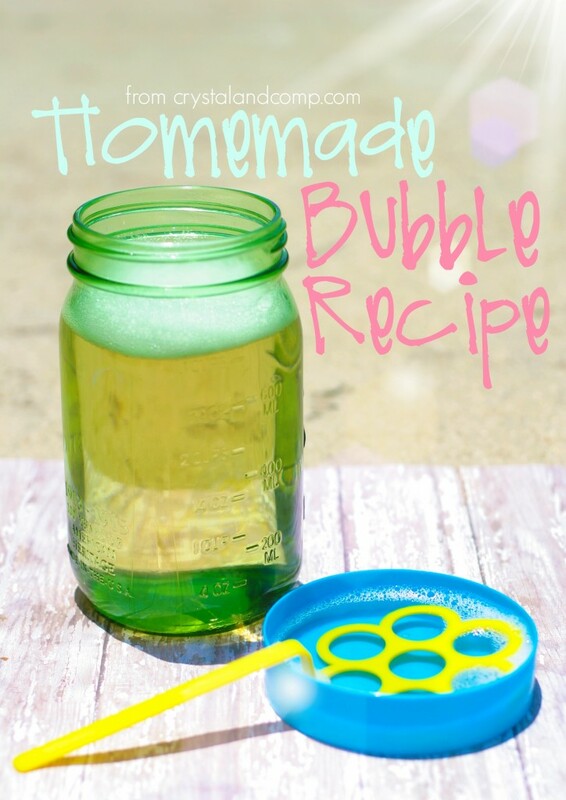 This quick Bubble recipe will be pre made and ready to rescue any empty bottle! 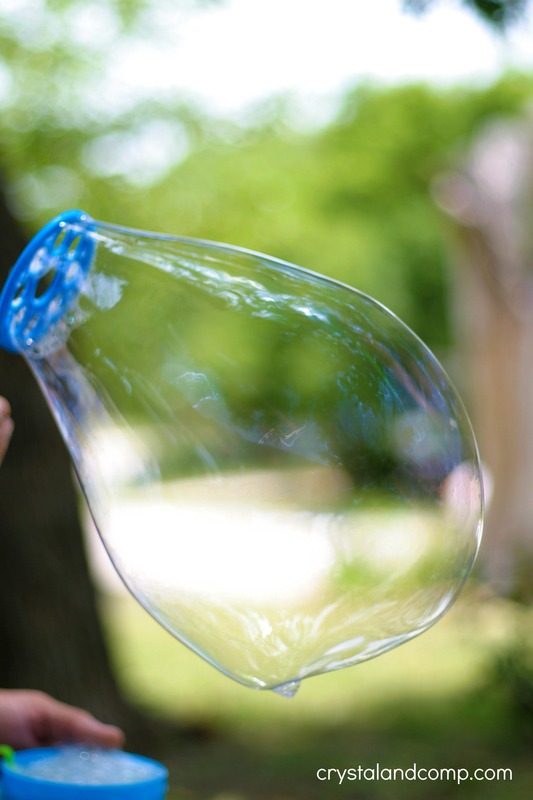 I love the idea of adding essential oils to bubbles for extra sensory pleasure! You got some gorgeous photos. 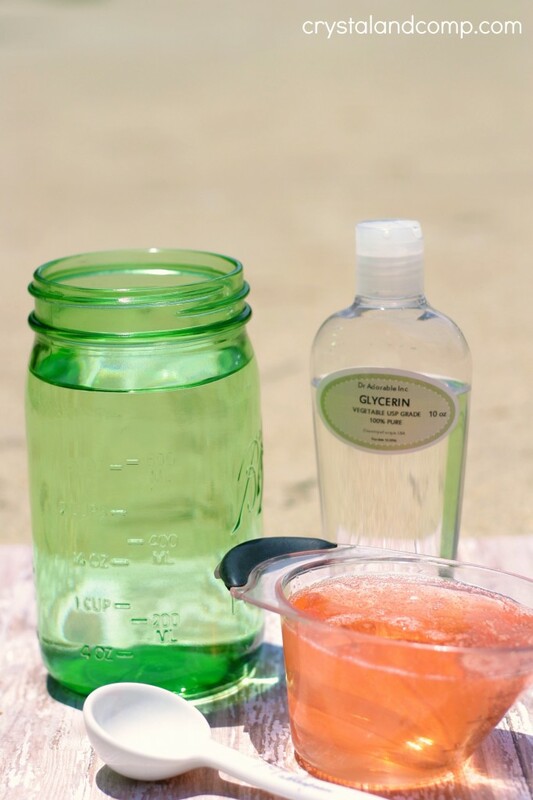 Does the brand of dish soap matter in this recipe? I’ve seen others that specifically say the blue Dawn liquid. That’s not available here in Tanzania so I’ve been hopeful to find a recipe that was more flexible. 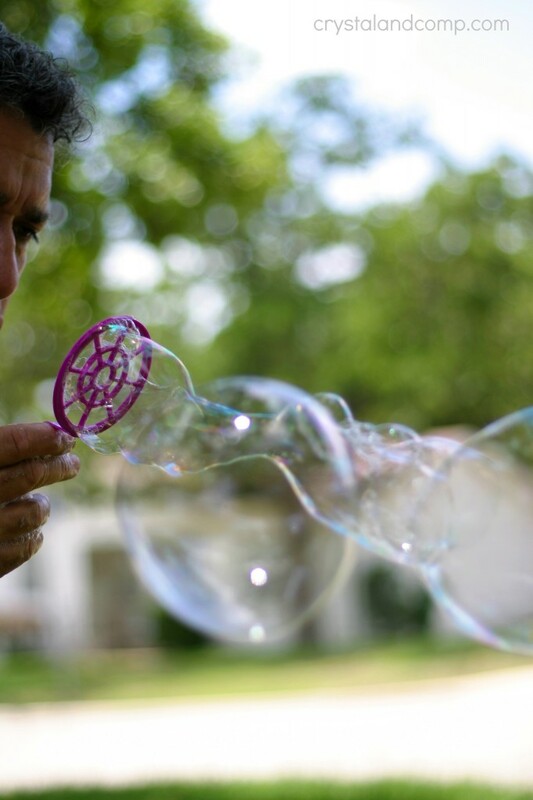 We’re just about to run out of bubble mixture so this is perfect timing – and those bubbles look awesome! 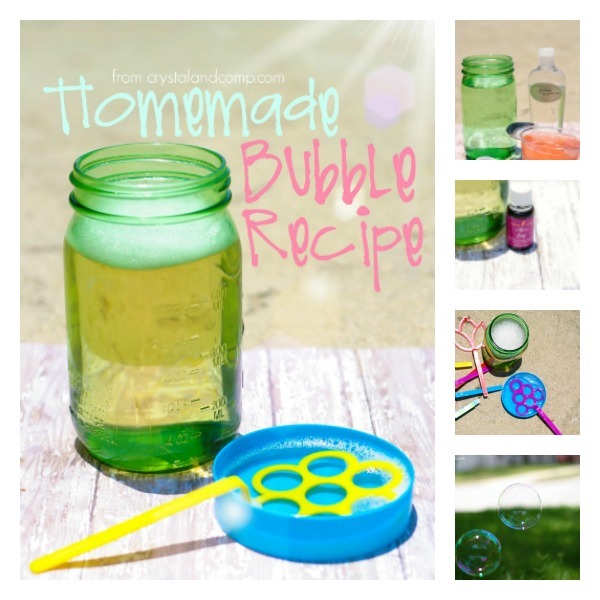 Who knew it was so easy to make your own bubbles? I can just imagine adding some lavender oil and having a relaxing afternoon lying in the grass making thousands of these! 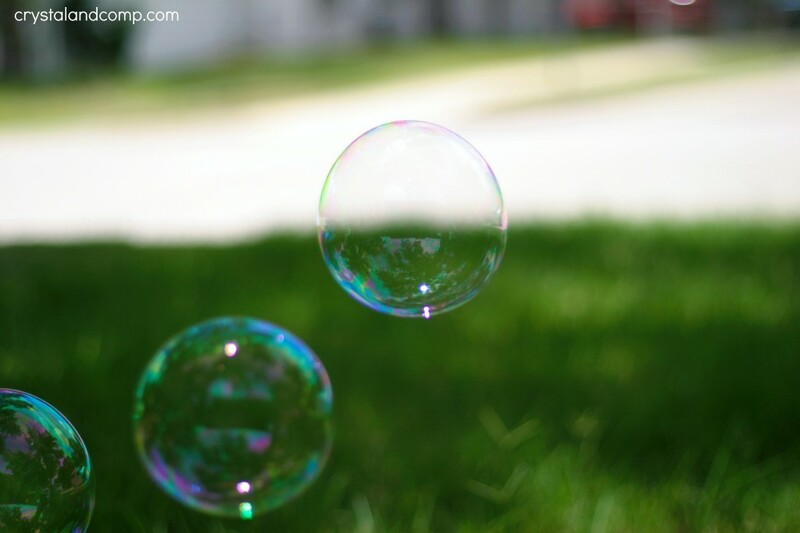 Thank you for linking up at Thank Goodness It’s Thursday, Crystal. After getting lost on your site for more time than I want to admit to, I hope to see you next week with more of these awesome ideas! Oh, lavender oil would smell amazing! What a great idea. 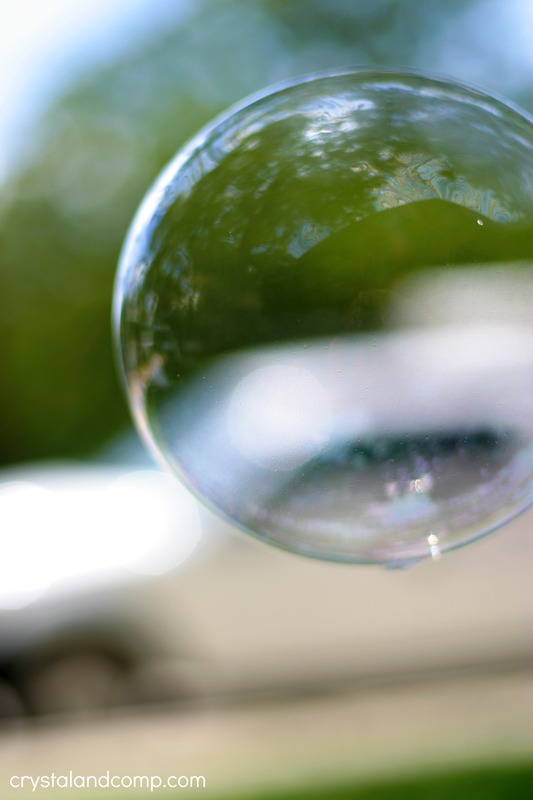 We go through so much bubble solution. I really should try making my own! 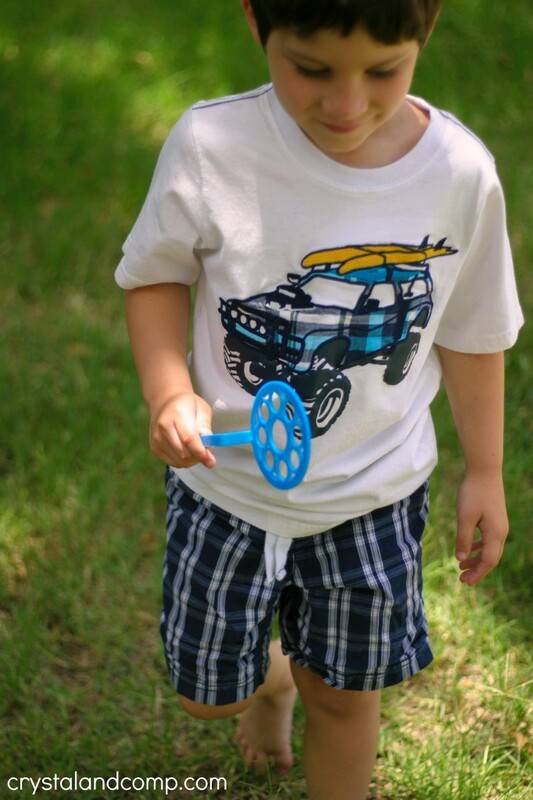 We would love to have you link up this project and others at Family Joy Blog Link-up Party every Sunday at noon EST on Ava’s Alphabet and 5 other great blogs. Have a great week! Great idea! I think I might bring this to our summer block party!! Thanks for sharing this week on Throwback Thursday!! 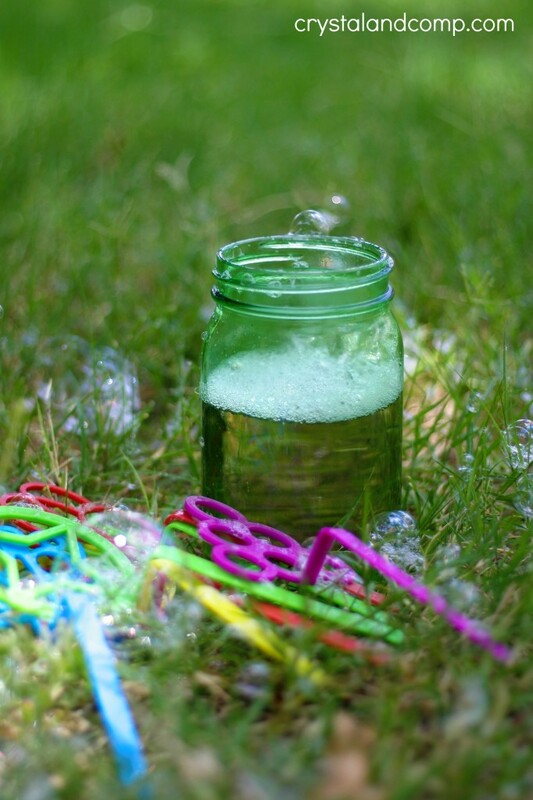 Such a cute idea to add scent to the bubbles! 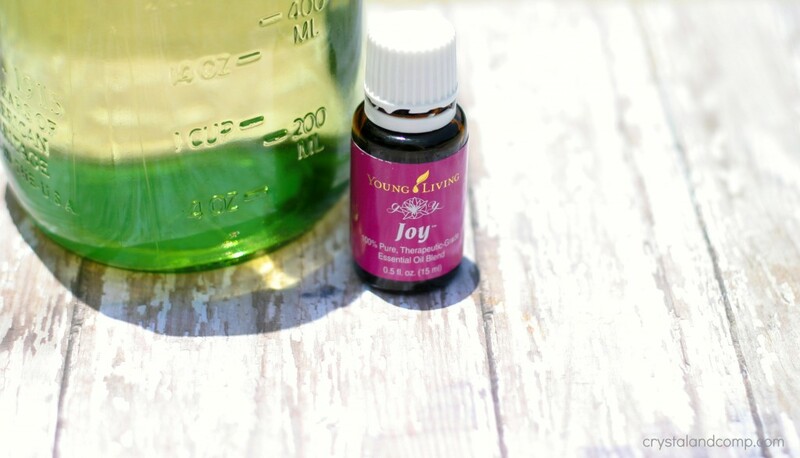 We have made some wonderful bubbles using Joy dish soap, glycerin and water but I never thought of adding essential oils. Pinned.